A jury of nine women and three men reject the death penalty and sentence Holmes to life in prison without parole. In closing arguments, the District Attorney plays a recording of a 911 call with gunshots and screams in the background as the victims’ pictures disappear one by one from a courtroom TV screen. For James Eagan Holmes, justice is death. Death. Holmes Defense attorney says that the massacre was heartbreaking but that Holmes’ schizophrenia was the sole cause. The death of a seriously mentally ill man is not justice, no matter how tragic the case is. Please, no more death. In the hours before the sentencing jurors had asked to review a graphic crime scene video. When the verdict is read one man storms out, others cry. Holmes’ mother also cries, with Holmes’ father’s arm around her. Holmes smiles at his lawyers and thanks them after the verdict was read. That is logical. That is rational, and that is anything — anything — but psychotic. That guy was sane beyond a reasonable doubt, and he needs to be held accountable for what he did. The jury deliberates for 13 hours over two days before rejecting pleas from defense lawyers that Holmes had a severe mental illness and was not legally responsible for his actions. As Judge Samour reads the 165 counts against Holmes, the defendant stands silently between his lawyers, staring straight ahead, with his hands tucked into his pants. Holmes’ family speak of bias against their son. 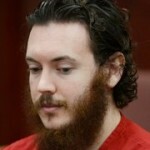 We do not know how many victims of the theater shooting would like to see our son killed. But we are aware of people’s sentiments. We have read postings on the Internet that have likened him to a monster. He is not a monster. He is a human being gripped by a severe mental illness. Holmes is found guilty for his actions in the 2012 shooting which killed 12 people and injured 70. A jury deliberates for 13 hours over two days before rejecting pleas from defense lawyers that Holmes had a severe mental illness and was not legally responsible for his actions. As Judge Samour reads the 165 counts against Holmes, the defendant stands silently between his lawyers, staring straight ahead, with his hands tucked into his pants. The district attorney in suburban Arapahoe County is seeking the death penalty, and the jury will begin weighing the toll and nature of Mr. Holmes’s actions to decide whether to send him to prison for life or to Colorado’s death row. 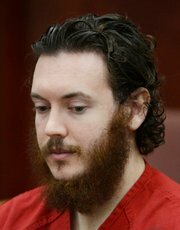 Robert and Arlene Holmes, parents of James Holmes, plead for him to be spared the death penalty, citing severe mental illness. This is the first time they have commented on their son and the case. We have read postings on the Internet that have likened him to a monster. He is not a monster.